Country music singer Chris Janson recently debuted his brand new single "Messin' With Jesus," featuring Grammy Award-winner Tim McGraw, and the acclaimed country music star explained the concept behind his provocative title. Released Friday via RollingStone, the redemptive song is from Janson's forthcoming debut album Buy Me a Boat. McGraw lends his vocals to the catchy, rock n' roll-infused track, and although the title has raised eyebrows, the lyrics allude to everyday struggles of walking in faith and fighting to overcome temptation. "With the title you might go, 'What the hell?'" Janson, who is a Christian, told Rolling Stone Country. "But there's a sarcastic tension to it, kind of like an ebb and flow. It's like black and white, black and white: 'I got a dark side but I try to live right/So I stay up late and I pray all night/'Cuz I ain't messin' with Jesus.'" The Nashville native co-wrote the song with his wife Kelly, who helped him begin to live more righteously when they met. Janson alludes to his sinful past, which includes hard partying, on another powerful track on the album, "Back in My Drinkin' Days." He said that, like most people, he too struggles with temptation, particularly giving up things that are bad for him, like sugary drinks. "I always say, 'Oh, I'm gonna quit that,' then I quit for three days and then drink three weeks supply in one day," he said. "That's how I am. I don't have a real dark side, but I've got a side like any other person out there. That song is true to the core." Janson made waves earlier this year following the release of his chart-topping title track "Buy Me A Boat," which has reportedly sold 740,000 copies to date. The singer/songwriter has worked with a number of country music stars, including Luke Bryan, and is set to join Blake Shelton for his winter tour. 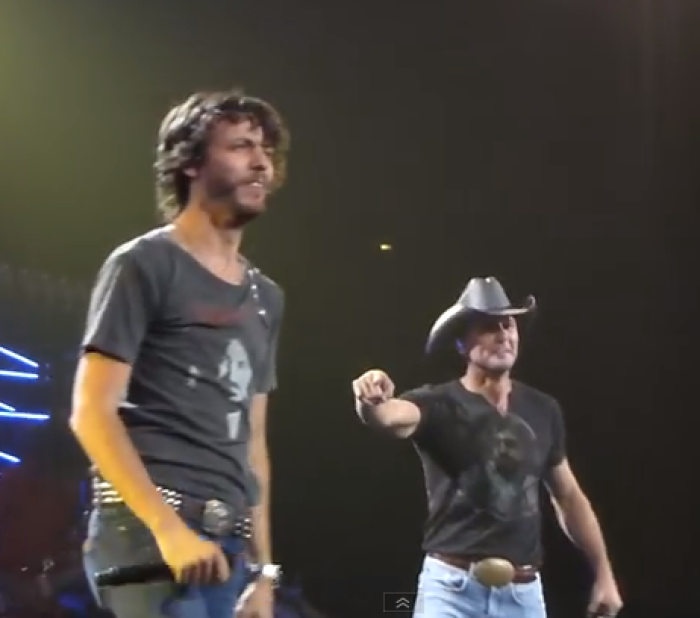 Janson said getting McGraw on board for "Messin' With Jesus" was straightforward because he loved the song. "He obviously liked it," said Janson. "I said, 'Thank you so much' and he said, 'hell yeah, glad to do it. I love the song.' I don't know if you can get any better than that."